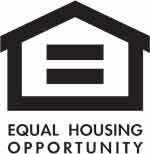 The Tides Condominiums is one of Mount Pleasant’s most luxurious and high-end condo communities. 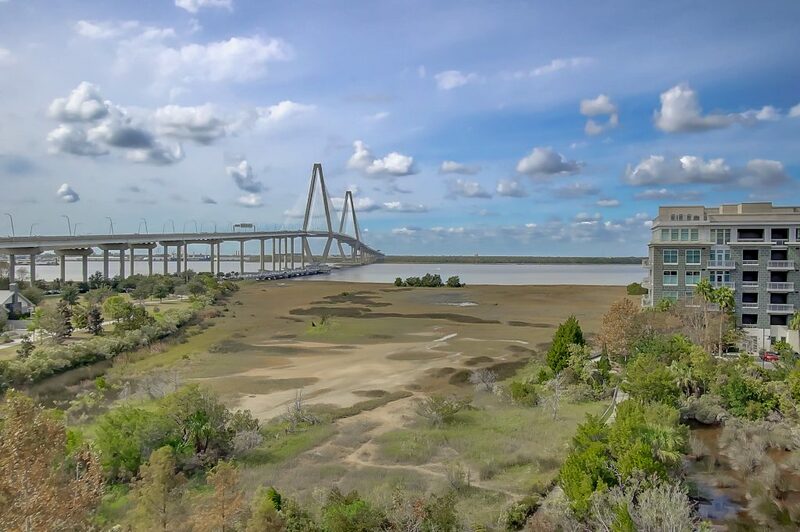 It sits along the banks of the Cooper River, with views of the water, marsh, Ravenel Bridge and downtown Charleston. There are plenty of amenities including a secured lobby, an exercise facility with wet and dry saunas, a social room with TV’s, and a resort-style pool area with an outdoor kitchen, cabanas, hammocks and a hot tub. 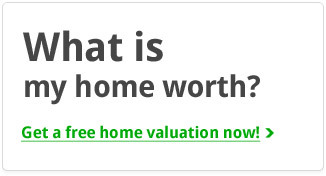 The neighborhood is also positioned in a convenient area of Mount Pleasant–with easy access to local restaurants, shops, major services and parks including Mount Pleasant Memorial Waterfront Park, Shem Creek and Patriots Point. Downtown Charleston is also just a short five minute trip across the bridge. 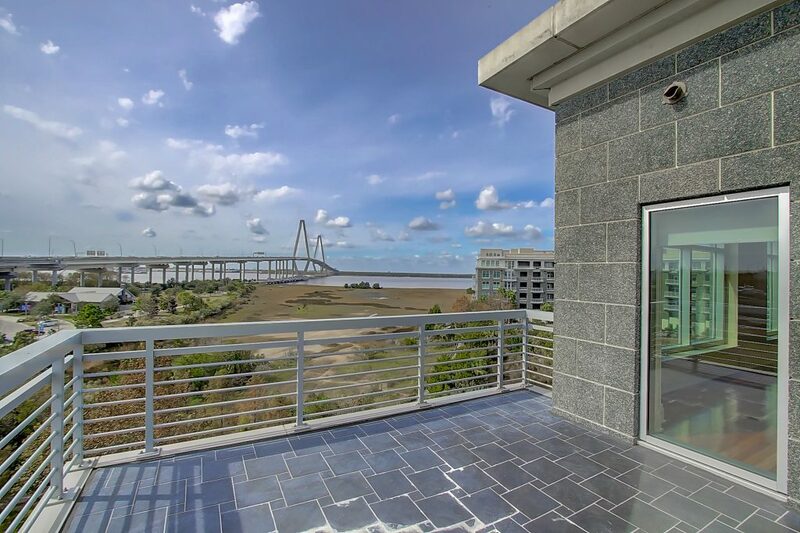 Our featured listing at 251 Cooper River Drive is located in Building 2 of The Tides. It sits on the fifth floor and is a coveted corner unit so you have two walls with views. The interior is well-designed with a comfortable floor plan that includes elegant and tasteful finishes. 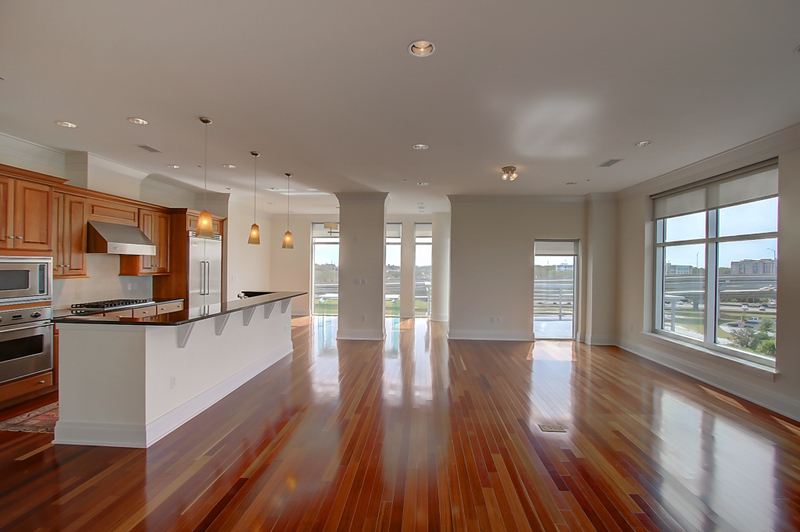 Brazilian Cherry floors, 4-piece crown molding and recessed lighting run throughout the entire 2,673 square foot unit and the floor plan is incredibly open, combining the living area, dining room and kitchen into one cohesive space. 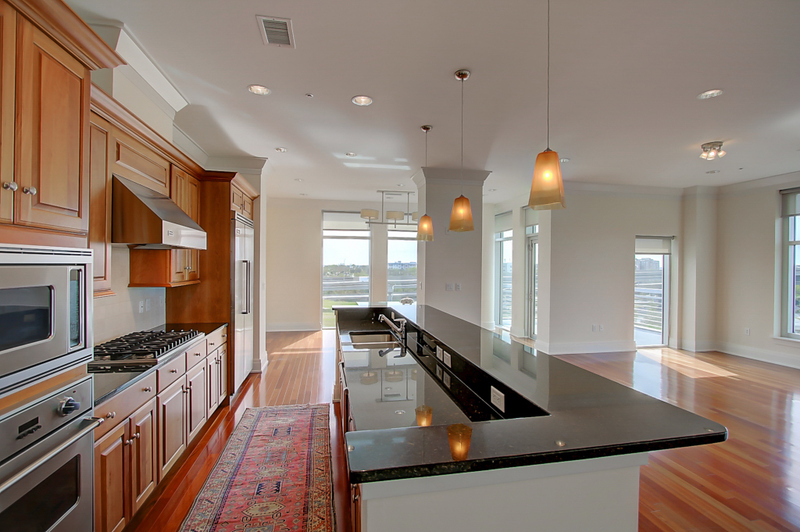 Large windows in the living room overlook the water and there is access to a balcony which provides an ideal spot to enjoy the breathtaking sunsets over the Charleston Harbor. The contemporary kitchen is outfitted with Viking appliances, granite counters and a center island with seating, while the adjacent formal dining space is conducive for more formal dinner parties. 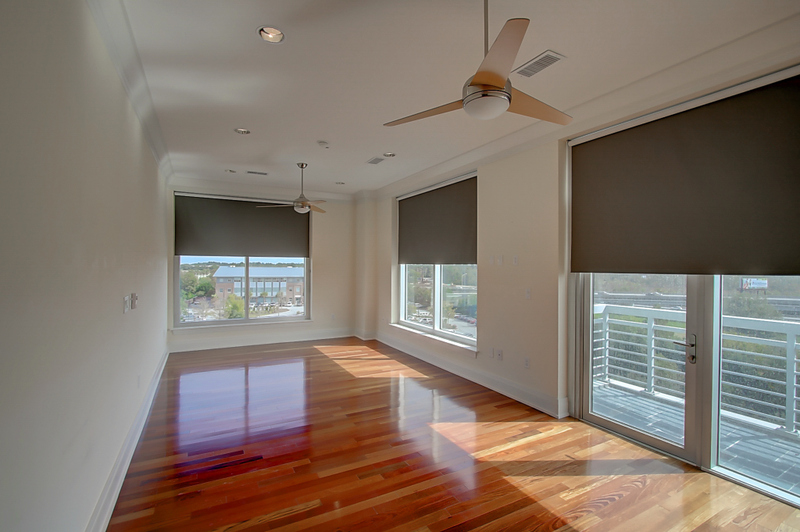 The master bedroom is spacious and has its own private balcony with views of Waterfront Park and the bridge. 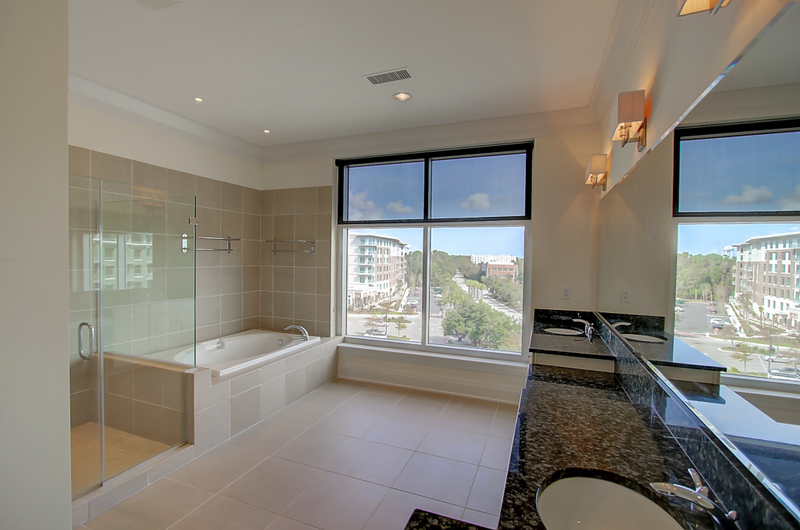 Granite-topped vanities, a large shower, soaking tub and great natural light are some of the best features of the en suite bath and there is also a large walk-in closet with custom shelving. The other bedroom is well-sized with its own en suite bath and there is also a study with a private terrace. If this sounds like it might be a fit, please contact listing agent Garrett Rust to arrange a private showing. To see more condos for sale in The Tides, click here.